Xpressions16, the business cultural festival of XIMB, continued to keep up its pact #likeneverbefore. The liveliness and the eagerness continued on the final day of Xpressions. The day saw the participation of over 2000 students, from all over the country, in various cultural and business challenges. After being a host to two days of spectacle , XIMB lived up to the expectation of making the final day of Xpressions a memorable one. 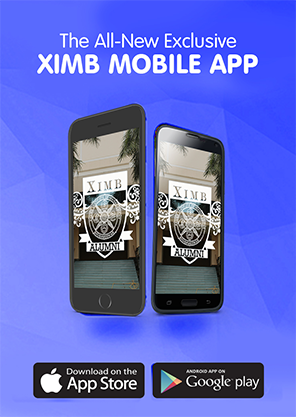 Being the most awaited event for every XIMBian, the fest was loaded with a plethora of opportunities and was a wonderful podium for the students to showcase their latent talents. Day 3 of Xpressions was witness to various events ranging from Business Simulation games to cultural events. Xpressions conducted a number of Business simulation Games like Spardha, Skill City and Gladiator which grabbed a huge number of participants. Viraasat, Aaghaz; the nukkad natak challenge, The Final Cut(film making competition) and the dance competition Thirkan added colours to Xpressions16. Inquizzite , the quiz competition also saw a huge participation. Finally, the curtains went down of Xpressions 2016 with Celeblitz, the celebrity night of Xpressions. The stage was honoured to host the magical trio of SEL- Shankar, Ehsaan and Loy who left the audience spellbound with their rendition of a wide array of songs- from foot tapping numbers to soulful melodies. The Euphoria was such that thousands of people flocked to the campus to witness the star performance. After mesmerizing performance by Lagori, Day 2 was filled with a huge set of business events like M-Power, Maven and Trade wars, testing and challenging the skills and acumen of B-school students. The cultural events like Goonj, Pratibimb and fun events like RJ hunt, Foot of Fury and Bike show were enjoyable. The day ended on a high note with Carnival De Vogue. 10 km stretch for marathon supporting the noble cause, for the girl child’s rights in the state, country and all over the world.